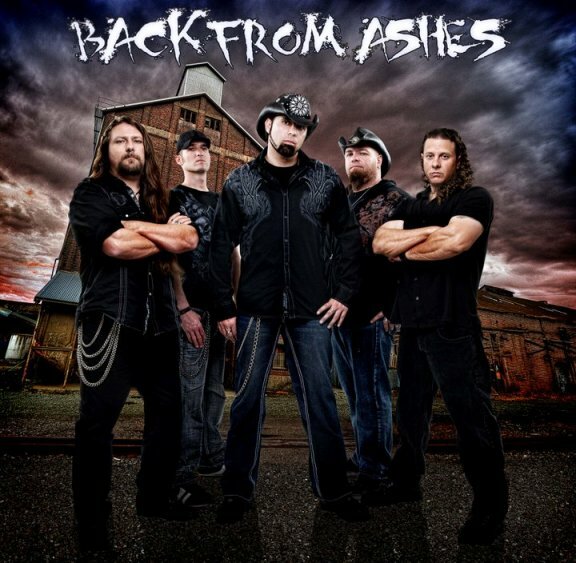 Back From Ashes (2005-present) is a Progressive Metal band from Phoenix, Arizona, USA. ack From Ashes is a progressive metal band forged in Phoenix, Arizona, USA. Over the years, the band's members worked on separate projects, and it wasn't until 2005 that everything fell into place. It started with guitarist Mike Butikofer and songwriter/vocalist Jason Hobel. Through a number of grueling auditions they finally found Dave Yaccarino on the drums, and Johnny Urwin on bass. It was then they realized they had found something special; the music they created is both raw and powerful. Their independently released Broken (2007) would be followed-up in 2010 with a big shift in membership adorning the 261 (2010) follow-up by featuring David DiGilio (bass), Anthony Dejesus (guitars), Jason Hobel (vocals), Mike Butikofer (guitars) and Dan Johnson (drums), also independently released. They have not recorded since.